The application toolbar is divided into two parts: Top and Bottom, in a way that is possible to define which buttons will be displayed for both locations. Selecting the buttons for the Top and Bottom toolbars will work independently, allowing buttons being in both toolbars at once for example. It’s also possible to separate which buttons will be displayed in an application that’s opened in a mobile device, and their respective positions in the toolbar. 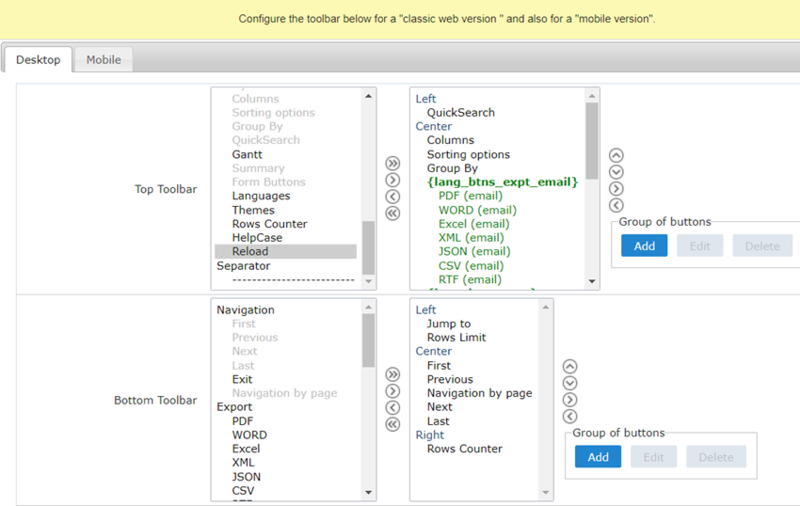 Location where you should inform the configurations for the toolbar in “Classic Web Version” view mode, so that the configuration can be used in the application when accessed from a Desktop environment. 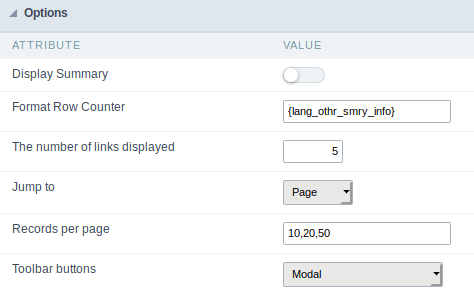 Location where you should inform the configurations for the toolbar in “Mobile Version” view mode, so that the configuration can be used in the application when accessed from a Mobile environment. Groups the options relative to the navigation buttons that can be displayed in the application. 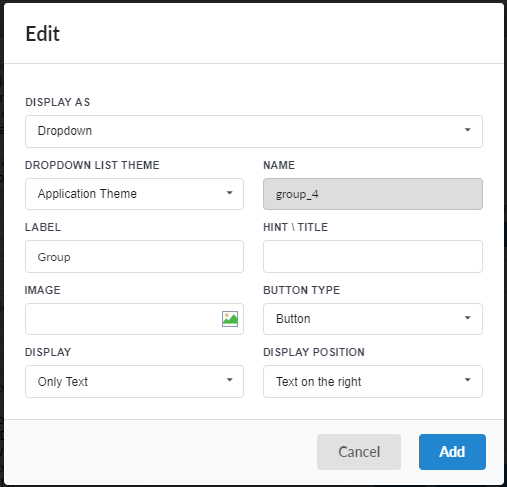 Next Groups the options relative to the navigation buttons that can be displayed in the application. Previous Returns to the previous page (Record or list of Records) of the application. First Redirects to the First page (Record or list of Records) of the application. Last Redirects to the Last page (Record or list of Records) of the application. PDF Offers a complete Report, containing all the data of the application in a PDF format. WORD Offers a complete Report, containing all the data of the application in a WORD format. XLS Offers a complete Report, containing all the data of the application in a EXCEL format. XML Offers a complete Report, containing all the data of the application in a XML format. CSV Offers a complete Report, containing all the data of the application in a CSV format. RTF Offers a complete Report, containing all the data of the application in a RTF format. Impression Creates a HTML format of the application for printing. PDF (Email) Sends by Email a complete report, containing all the data of the application in a PDF format. WORD (Email) Sends by Email a complete report, containing all the data of the application in a WORD format. XLS (Email) Sends by Email a complete report, containing all the data of the application in a EXCEL format. XML (Email) Sends by Email a complete report, containing all the data of the application in a XML format. CSV (Email) Sends by Email a complete report, containing all the data of the application in a CSV format. RTF (Email) Sends by Email a complete report, containing all the data of the application in a RTF format. Groups a diversity of options relative to the application. Jump to Defines the record page by the informed number. Rows Limit It is a combox that defines the amount of rows displayed per page. Search When clicked, it redirects to the Search’s Form to filter the records. 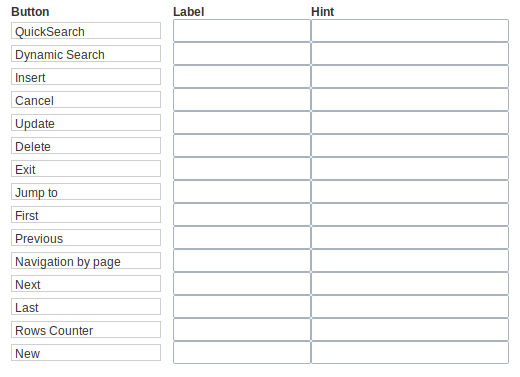 Dynamic Search When clicked, it displays the search fields to filter the records. Columns Allows to define the columns that’ll be displayed during the application runtime. Sorting Options Allows to select the order of the records based on the field. Group By Allows to select a Group By rule. (Created previously in the application). Save Grid Allows to save the current state of the application. For example, in the advanced search you can save the search data for further use. Quick Search Allows to do a rapid search in the records of the application. Gantt When clicked, displays a gantt chart. Summary When clicked, displays a summary with the set of data from the records. Form Buttons Displays the Form Buttons, when there’s an Application Link created previously. Languages Displays a combobox with the names available, defined in the project properties. Themes Displays a combobox with the themes available, defined in the project properties. Rows Counter Allows to define the amount of lines displayed in the application. HelpCase Displays a button to redirect to the help page. ———————— Dispays a line separating the buttons, when used the Group Buttons. Contains the same options as the Desktop version, adding only the item “Copy from Desktop”, on which, when clicked, it copies the items from the Desktop toolbar to the Mobile toolbar. The Group allows to create group buttons. Add Add a group of buttons. Edit Edit a group of buttons. Delete Delete a group of buttons. Name Allows to define a name for the button group. 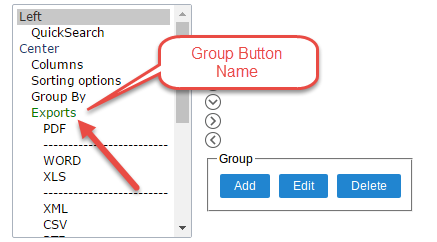 Label Allows to define a name for the button group that’s going to be displayed for the user. Hint\Title Allows to define a hint for the group of buttons that’s going to be displayed to the user. Button Type Allows to define a display format for the button group (Button, Image, Link). Image Allows to define an image for the button if its display format is and Image. Display Defines if the button will display only the Text, only the image or both. Display Position Defines the position of the Text or Image (Text to the right, Image to the right). Displays the availables buttons in the application. 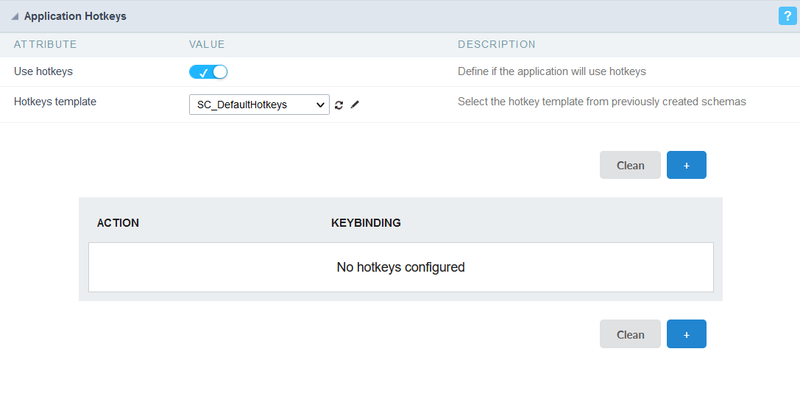 Allows defining the buttons name that will be displayed in the runtime application. Allows defining the buttons hint that will be displayed in the runtime application. Allows defining if the summary button will be displayed. Allows defining the format of the row which will be displayed. Defines the amount of links per page , when the navigation option is disabled. Defines the record page by the informed number. Allows defining the number of records to be exhibited for each page. To show all records use the option “all”. Defines the type of view for the Toolbar buttons (A DIV below the toolbar , Modal).